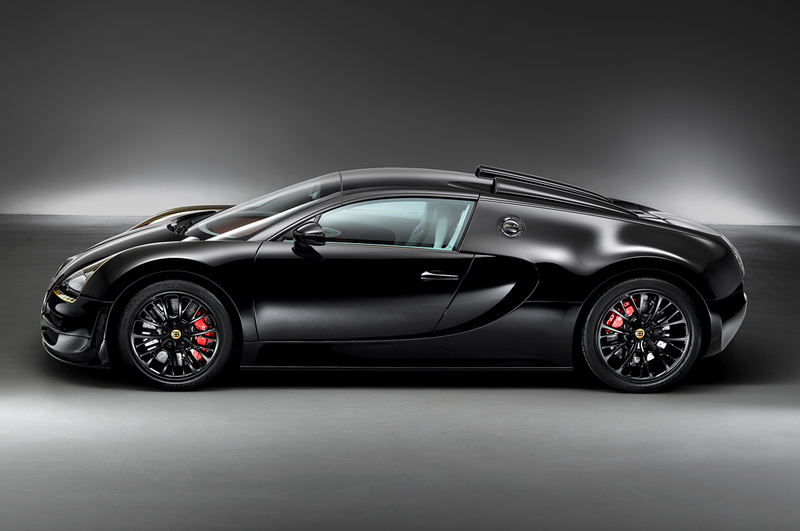 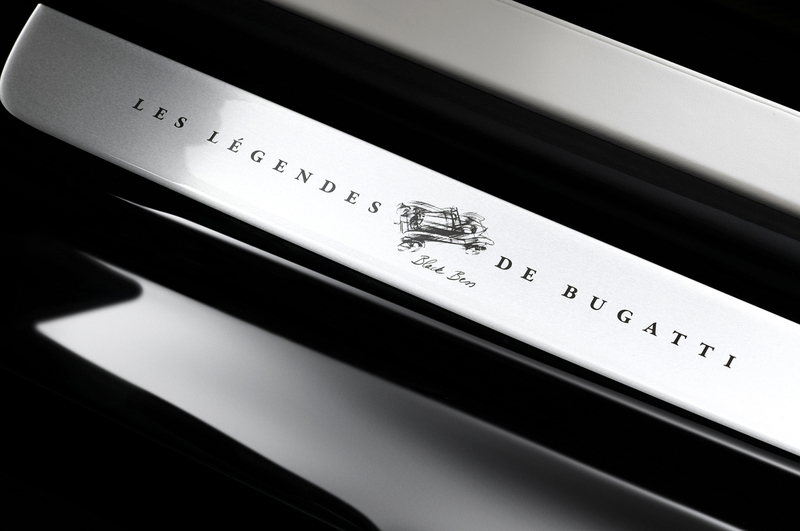 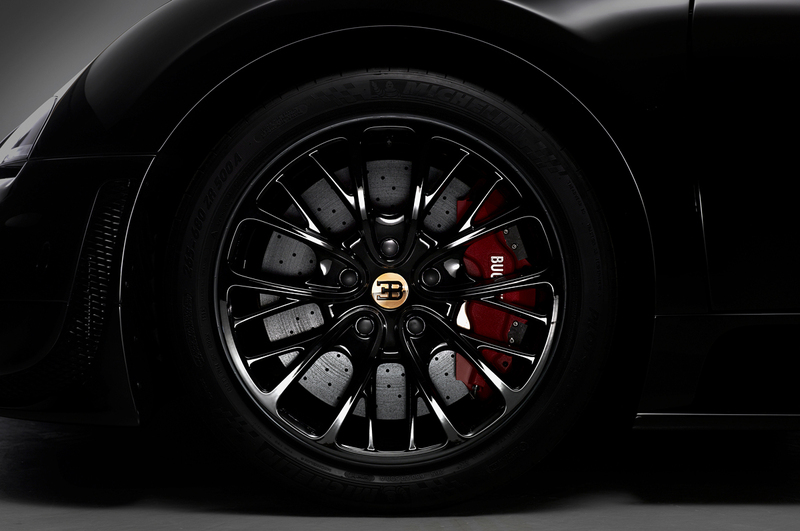 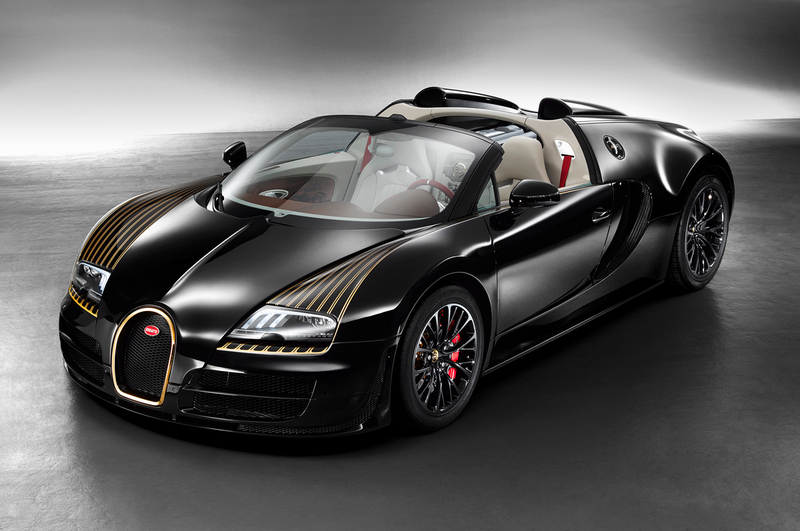 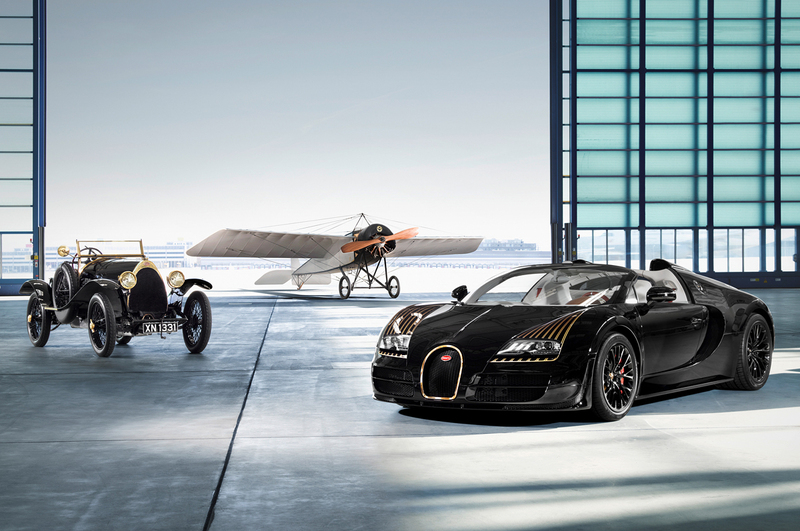 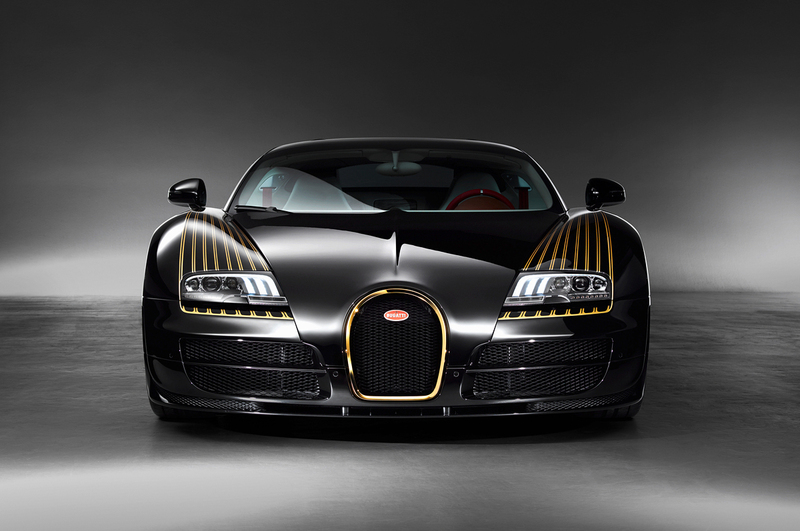 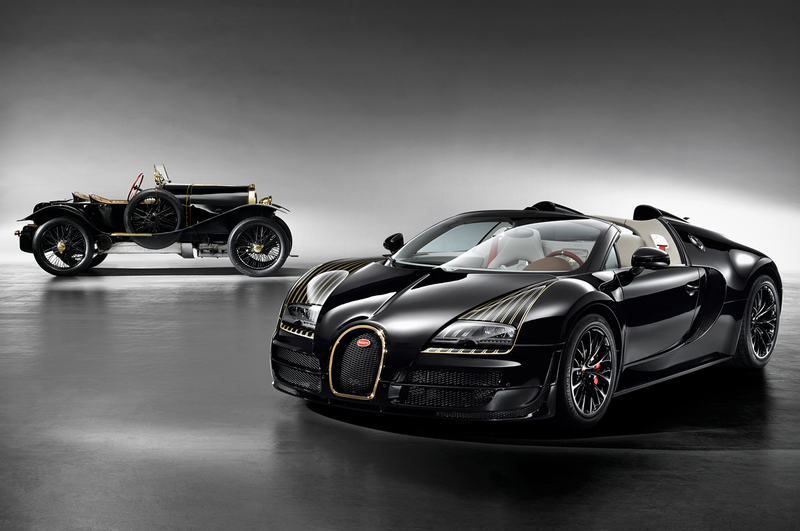 The Bugatti Veyron Grand Sport Vitesse Legends Black Bess – the latest in Bugatti’s “Legends Series” – will make its debut on April 21st at the Auto China Beijing 2014. 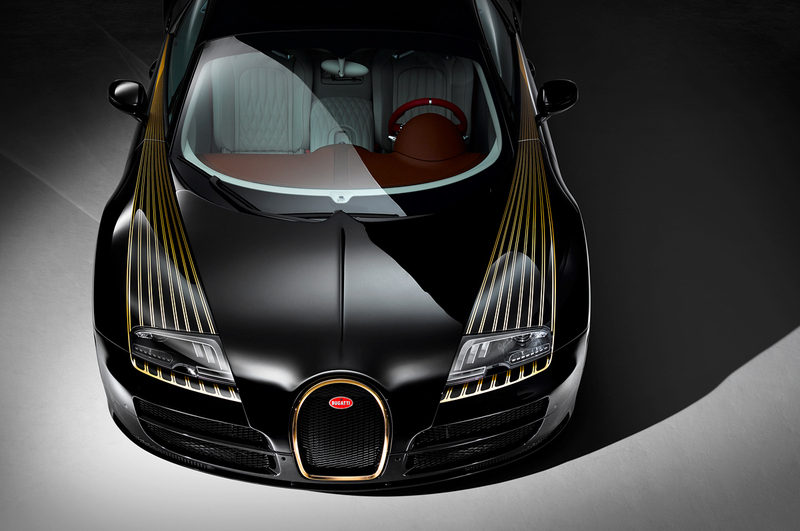 The fifth model of the six-model Legends Series, the new Bugatti Veyron Grand Sport Vitesse Black Bess pays homage to the Bugatti Type 18 “Black Bess.” Like the original car, the new Veyron is painted black and features gold accents throughout the exterior. 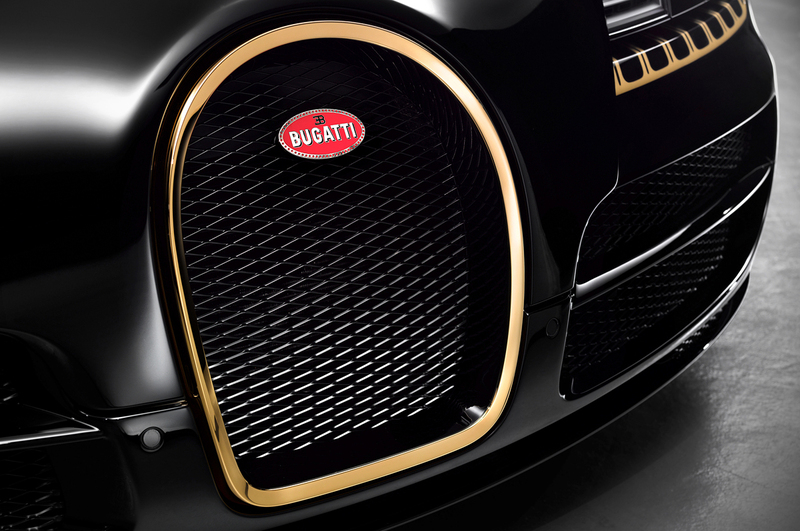 Some of those gold accents, including the Veyron Gran Sport Vitesse’s grille and rear badge are made of actual 24-carat gold. 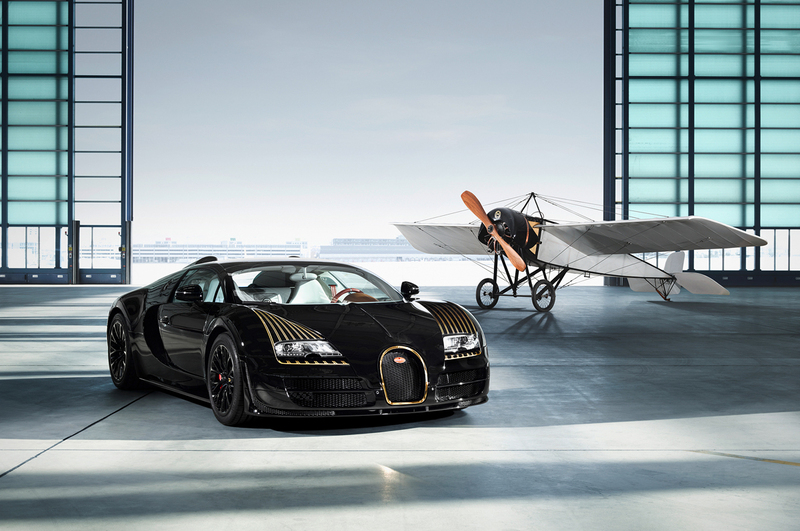 While the original car was powered by 5.0-liter inline four cylinder, the new Bugatti is equipped with the 1,200 PS 8.0 liter W16 engine, helping this black beautify sprint to 60 miles per hour in just 2.6 seconds. 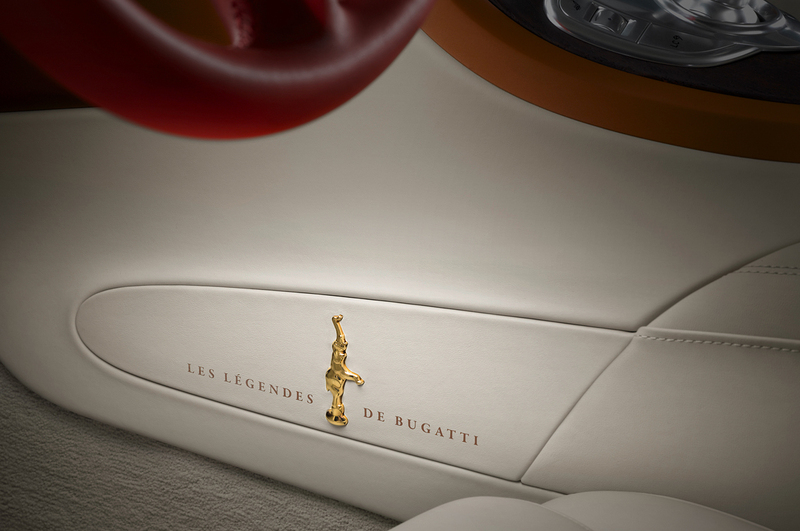 Opening the doors reveals a light beige upholstery, and gold emblems round things out. 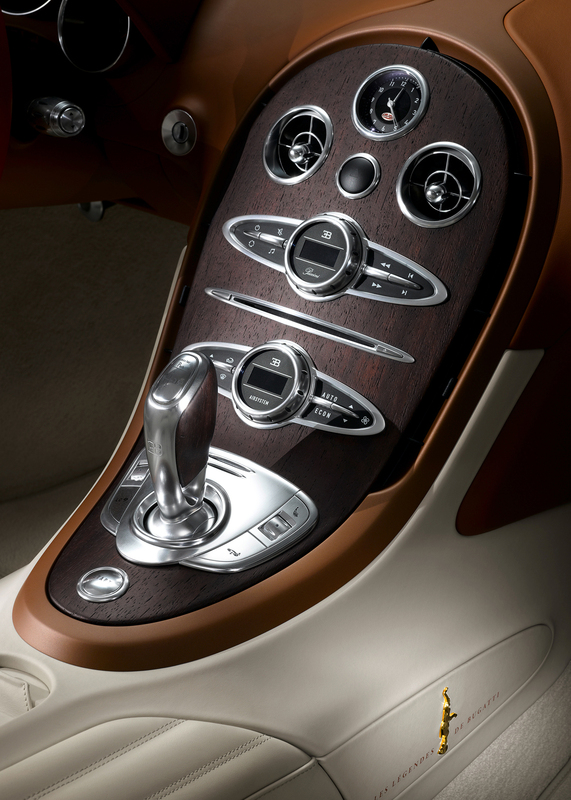 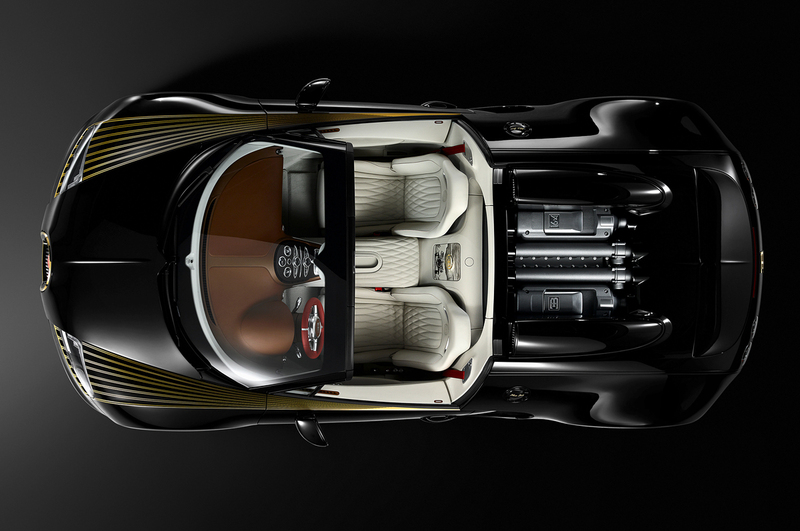 The interior the Veyron Black Bess features beige leather seats with contrasting brown leather trim, and a red steering wheel. 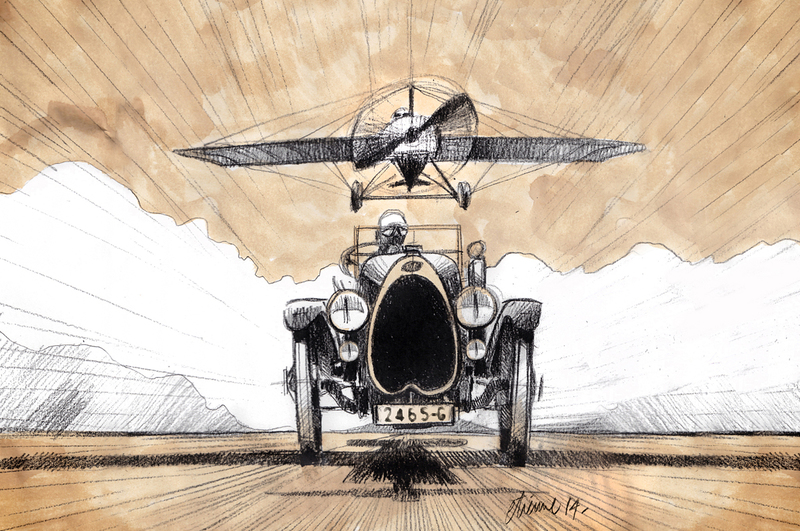 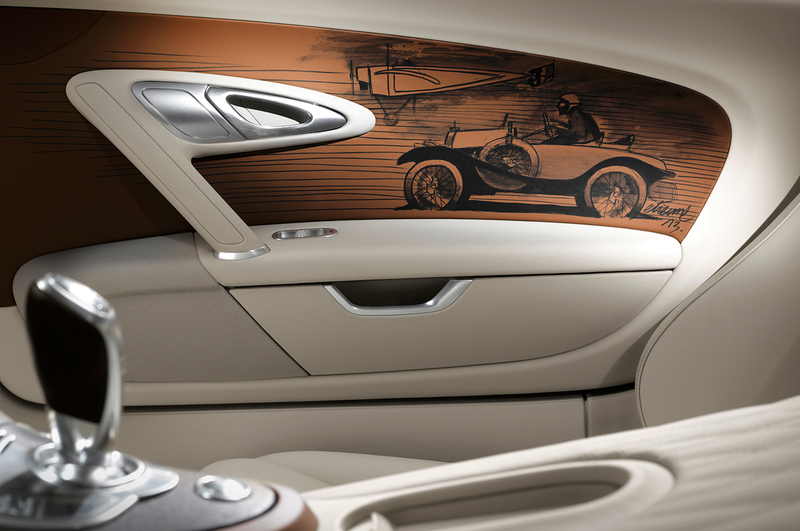 The brown-leather-finished panels feature hand-painted scenes of the Type 18 Black Bess in action. 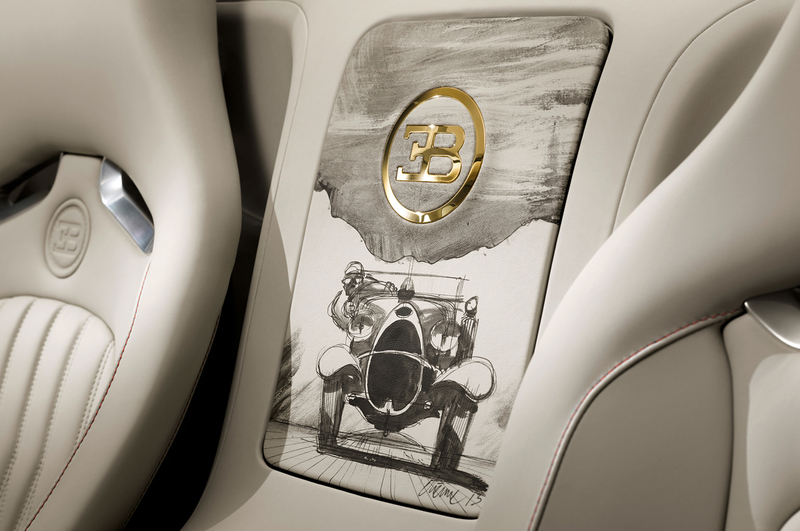 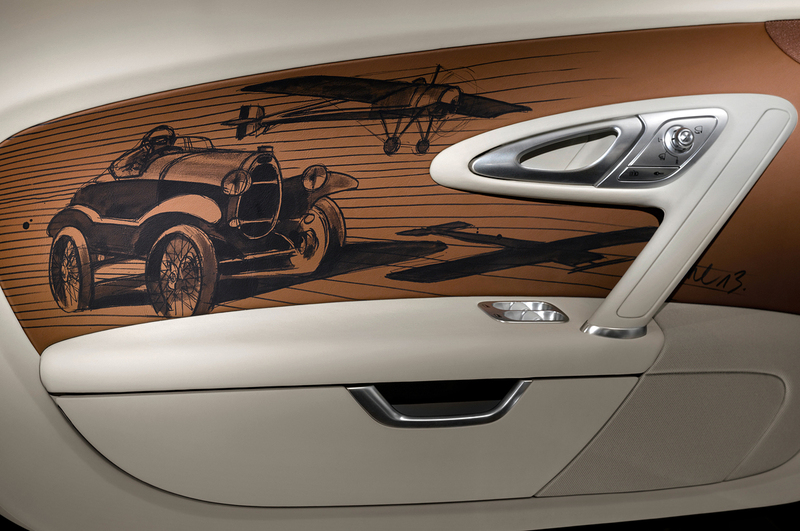 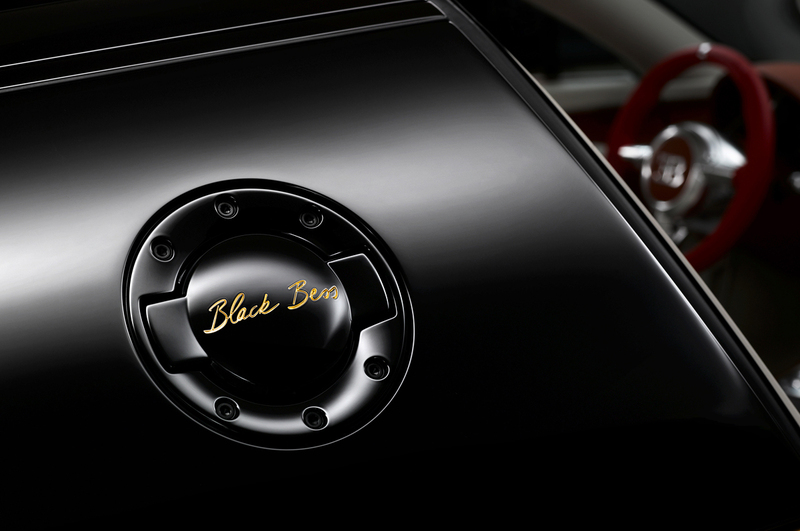 Each of the six Veyron Grand Sport Vitesse Legends Black Bess models will feature different artwork on the door panels, ensuring no two are alike. 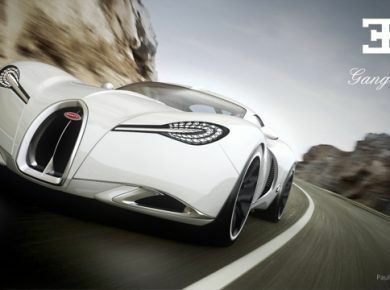 And don’t forget to check 15 World’s Fastest Cars.